Valerie's grandpa Gottfried Burow was one of the earliest settlers in Table Rock, and a Civil War veteran. On the Buchholz side, Wilber (1919-2010) was married to Luella Burow Buchholz (1917-1959); they had a son, Gary. In 1965, Wilber married Elma Lee Penkava (born in 1922). Wilber & Elma Lee had a son, Daryl. Gary married Janet Flider, and they had Valerie, who is an only child. On the Flider side, Ed Flider was married to Lola Flider. They had daughters Jackie and Janet and son Jim. Janet married Gary Buchholz and is Valerie's mom. Valerie married Tyler Binder, and they have four children, Ryan, Sydney, Lance, and Sadie. 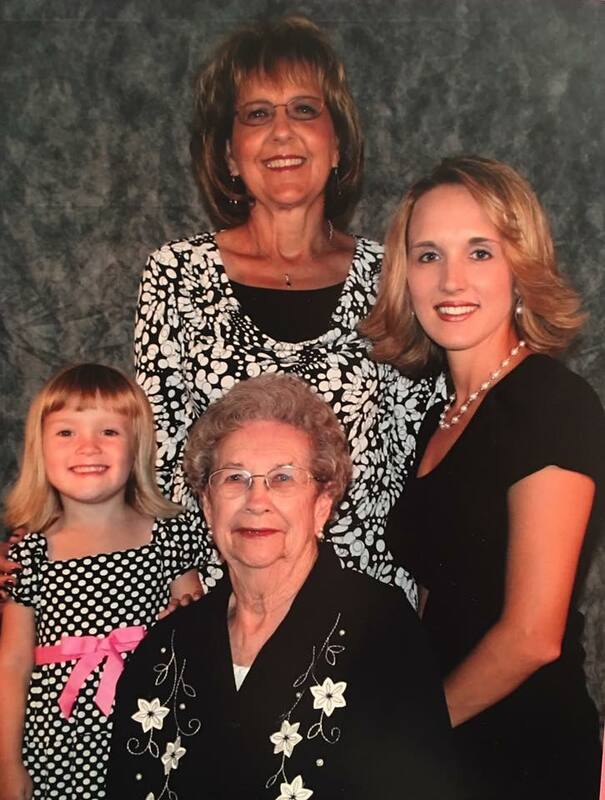 Another four-generation photo shared by Valerie, same players except the fourth generation is Sadie Binder. Photo 3054. A four-generation picture. Valerie's grandma Lola Flider is in front, Valerie's mom Janet Flider Buchholz is in the back. To the left is Valerie's daughter Sydney, and Valerie is to the right. Photo 3053. 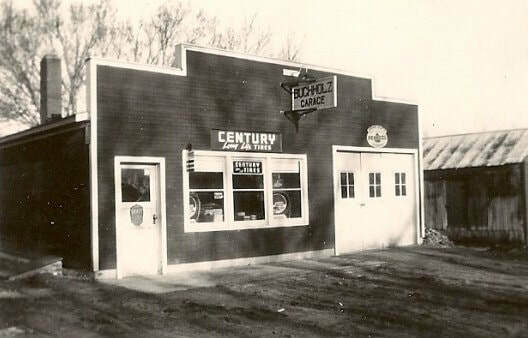 The Buchholz Garage in April 1949. Photo 4068. 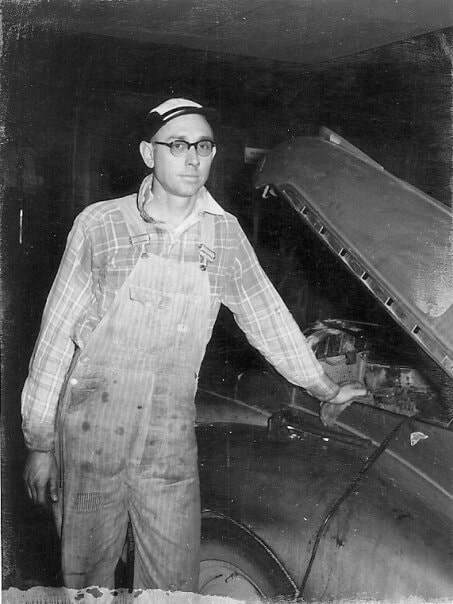 Wilber Buchholz at work. Photo 4067. 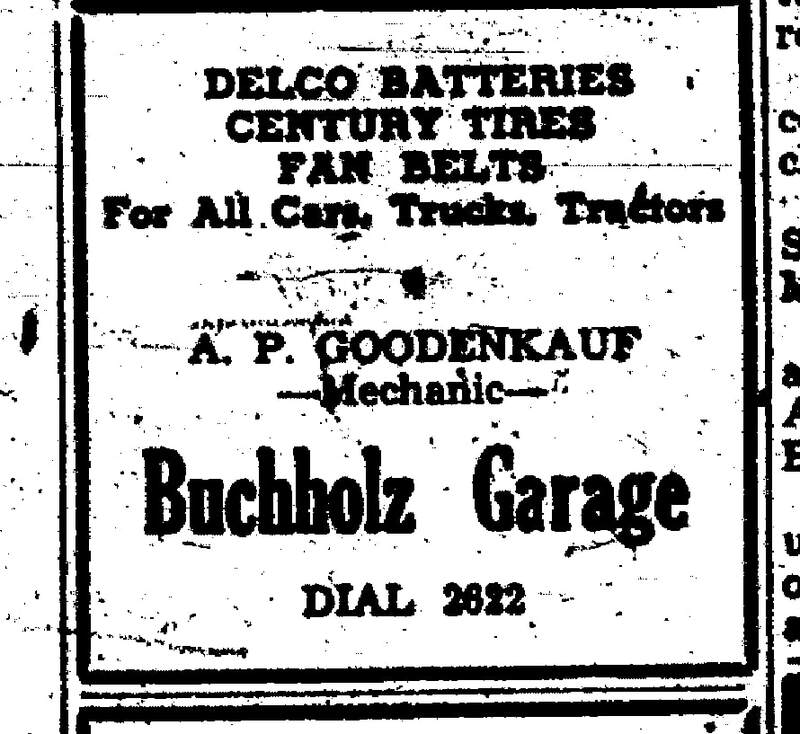 An ad for the Buchholz Garage in a June 1948 issue of the Argus. Buchholz cars in front of the garage, with Rick the dog on patrol. Photo 3069. Wilber Buchholz with one night's catch, six beautiful fish, Summer of 1951. Photo 4065. Wilber cutting a willow branch to make a pole for fishing from the bank. Photo 4066. 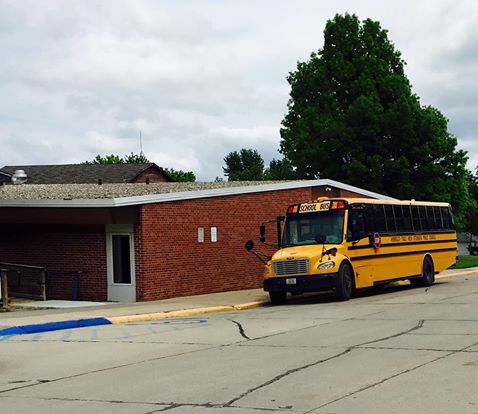 Valerie took this photo on May 17, 2016 of the last school bus to take kids home from the Table Rock school on its last day. Photo 2069. Valerie took this photo at Table Rock's Civil War statue in May 2017. The occasion was the delivery of the burial flag of William McNeal, a Civil War soldier from Table Rock who had died in the war. A tombstone had been secured and the Army was providing funeral honors, with the flag delivered by an Army sergeant prior to the funeral. In the picture are the Army sergeant, the Eagle scout from Humboldt who accepted it on behalf of McNeal's descendants, his scoutmaster Roxie Snethen, and Sharla Cerra and Gregg Clement, officers of the Table Rock Historical Society.